The Next Biggest Thing is Here. Taste the new revolution in bacon! Add more taste! #whatruschmacon ? Make your meals better with more beef ! Less fat, sodium and calories than most pork bacons. We'll ship Schmacon straight to your doorstep! You think you’ve had beef bacon? Not until you try Schmacon! Bigger, bolder, better flavor with less sodium, fat and calories. Like no other beef bacon you’ve ever tried! 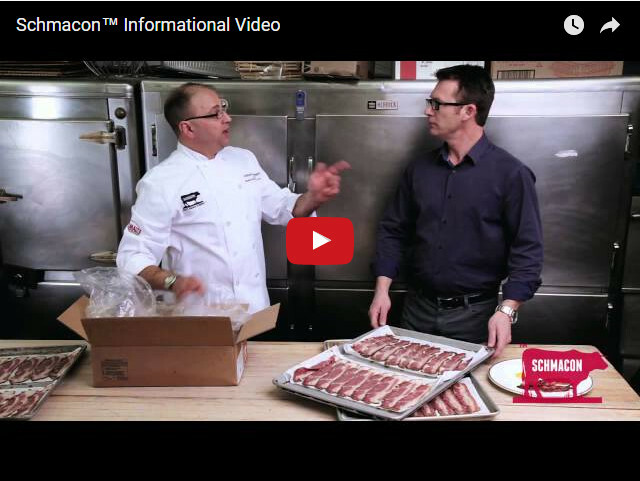 Schmacon is “Beef’s Answer to Bacon. Ted Brunson and Howard Bender introduce you to this new, versatile, delicious product.